Blend, store, and enjoy your favorite drinks no matter where you go. Enjoy better tasting sports drinks and protein shakes with Hidow’s BPA-free shaker bottle. Say no more to lumpy drinks thanks to the lightweight, whisking technology that’s easily inserted into the bottle for effortless blending and mixing of any powder supplements or ingredients. 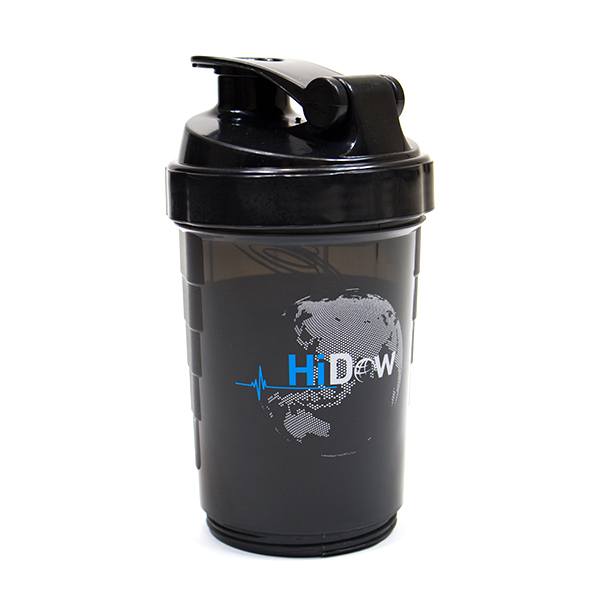 HiDow’s shaker bottle conveniently comes with two additional storage compartments for extra storage space for protein or supplement powders or even snacks. It also fits a removable pill tray for easy travel of vitamins or capsules if needed. HiDow’s shaker bottle is dishwasher safe and made for effortless on-the-go travel.